The world’s got problems. Poverty, sickness, violence, crime, exploitation, and countless other bad things exist. They are not good. What more, their very existence is a red flag that something must be done. But what? No matter your politics or philosophy, most of us would agree making the world a better place is a desireable goal. Where we all differ is in deciding what should be done to accomplish that goal. Let’s assume there are two ways we might determine to fix the world: centralized solutions or decentralized solutions. The centralized approach assumes a solution can be engineered and once “solved,” executed. It assumes complete accuracy with regard to theories of human behavior and no second order effects — I.e. policies aren’t gamed at the micro level, central forces perfectly execute the policy. Centralized approaches do not have a successful historical record. Command economies fail. Public education is broken. 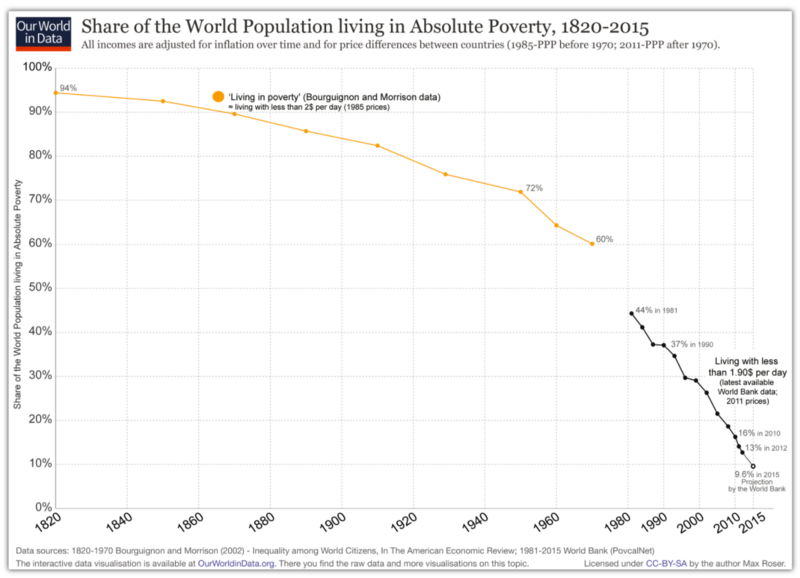 Poverty has not been eliminated by the welfare state. Pick pretty much anything. And its not for lack of trying. Possible exception: Centralized establishment of individual rights. So far as we can agree upon explicit individual rights, establishing those rights and then upholding them via the law has been a boon for society. What’s going on here? I’d posit establishing individuals as the rightful owners of their own existence aligns agency and self-interest. The individual is responsible for their own survival and existence, requiring nothing of their fellow man other than non-aggression. But non-aggression has a consequence: a given individual’s rights cannot come at the expense of others. Individual rights are an exception to other centralized solutions due to their elegant symmetry and decentralized, distributed execution. The most widespread decentralized solution to making the world a better place is to let individuals own the outcomes of their decisions. I.e. individual, personal responsibility. Decentralized solutions follow naturally from individual rights. Importantly and controversially, the free market turns a blind eye toward fixing (centrally) the playing field. Equality of outcome is ifnored (it’s opportunity and agency that matters). Differences in wealth and personal preferences are a feature, not a bug. So when it comes to making the world a better place, which is more effective, decentralized or centralized solutions? Long ago I concluded I had the most agency to make the world better through my individual decentralized actions. I can make the world better by educating my kids, being a good neighbor, making responsible decisions, being productive with my work, solving problems when I see them. There is symmetry in this approach. I reap the rewards of my actions but also suffer for my mistakes. It’s imperfect but feels right. It both feels right locally—I can see the positive impact on my proximate world. But it also works globally. If every person individually determined to pursue small ways to make their world better. No omniscient central control mechanism is required. Eventually, small things sum up to significant macro change. It’s not perfect. A consequence is there will still be many big problems in the world. And for those, what? Centralized solutions? It depends. Can they be accomplished without downstream effects? Can they work without violating non-aggression? What is the cost of trying? What is impact of failing? Perhaps the most important questions: What message does it send? What culture does it create? Where does it place the locus of control to fix the world? 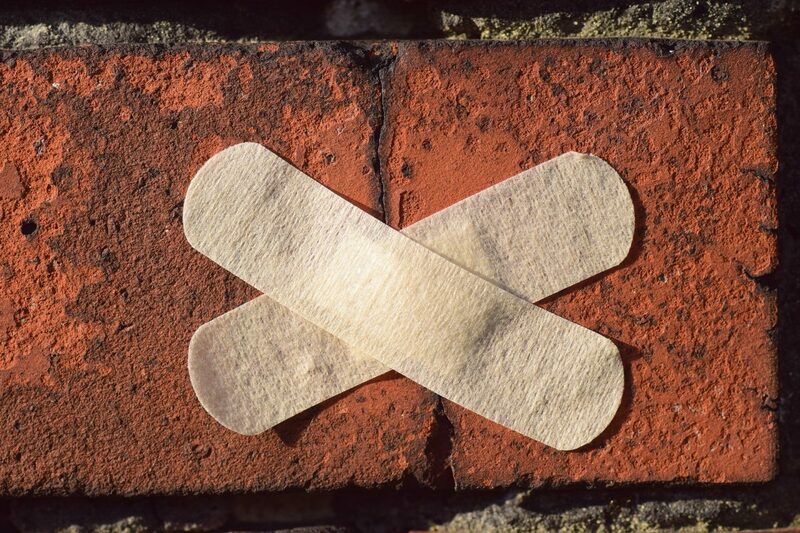 Fix the world or bemoan it’s brokenness? What’s better? To point out the manifold ways the world needs to be fixed and gnash your teeth, protest, and rage against the central powers to “do something!” Or enact through individual behavior small ways to make the world better, encouraging others you care about (and who care about you) to do the same in their own lives? Like the Mote and the Beam, perhaps it’s better to fix locally first before attempting to tackle the global problems. Fixing your local world does not mean you don’t want the world to be a better place. It doesn’t mean you turn a blind eye to the pain of others. Support those around you as best you can given your limited resources. Our resources are limited, so put your efforts where they’ll have the most impact. Fix your world.